Though technology has changed the tools of navigation available to us, maps are still the irreplaceable foundation of place and orientation. 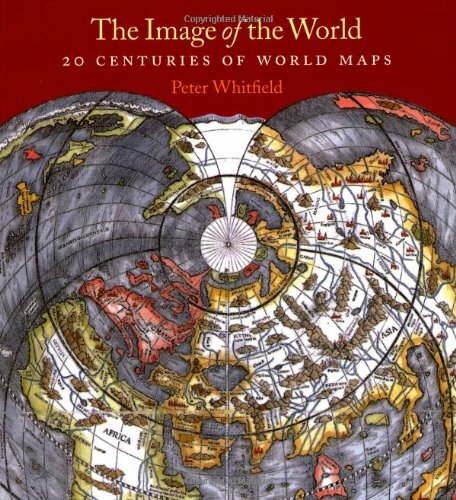 In this updated edition of Image of the World, map expert Peter Whitfield guides readers through a collection of some of the most extraordinary examples of maps—both visually stunning and historically revealing. An enormous variety of maps from the last two thousand years are reproduced here in attractive, large-scale color illustrations. These fascinating and vibrant maps include Bishop Isidore of Seville’s first-century design for a circular world map, the elaborately decorated manuscript maps of the seventeenth and eighteenth centuries, and scientific maps of worlds that are still being explored, such as the ocean floor. In addition, Whitfield examines the history of world mapmaking through these outstanding individual examples. He discusses each map in relation to the religious, political, social or economic climates in which it was produced and considers what these maps reveal about the perceptions of their makers. Image of the World returns to print a gorgeous and informative book that will appeal to map collectors, historians, and armchair explorers alike. I keep coming back to this book. Intelligent. Graced with beautiful design. Now if I only had unlimited income to spend on old maps. What a fetish we have made of accuracy and precision in maps! These maps--even the mediaevil ones showing the location of the Garden of Eden--are coherent world views. Many of the maps have been restored to their original look. In Civil War Newspaper Maps, David Bosse shows how nineteenth-century advances in printing and engraving technology, coupled with an unprecedented public demand for information, led to the development of a means of mass communication still in use today--the quickly produced, up-to-the-minute newspaper battlefield map. Bosse's introduction offers a concise overview of the subject, including how correspondents got maps to their papers from the field, press-military relations during the war, and the economic problems of map printing. Following the text is an atlas of forty-five newspaper maps printed by the Northern daily press, each accompanied by a summary of the military operation it illustrates and a commentary on the map itself. • Whatchamacallit, including a map of the area codes for regions where the rapper Ludacris sings about having "hoes"
The Strange Maps blog has been named by GeekDad Blog on Wired.com "one of the more unusual and unique sites seen on the Web that doesn't sell anything or promote an agenda" and it's currently ranked #423 on Technorati's Top 500 Blogs. Step Right Up! See the World's Smallest Kingdom Here! 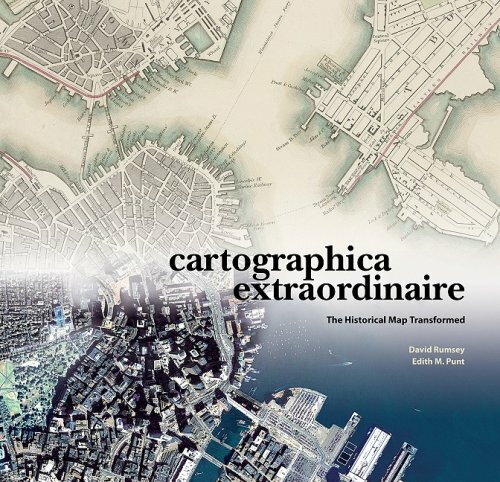 This is a Wonder Book, a collection of "cartographic curiosities" in the words of the author. It is to a conventional atlas what side shows are to the big top. Here you'll find the misshapen and the misbegotten, the tallest man and world's smallest flame eater, the five-legged animals of the cartographic kingdom. Frank Jacobs, the author, an English journalist, knows his stuff and presents it with a knowing smile. There are eighteen tent shows (chapters) where you'll discover over 100 maps, each with a unique story. The most charming series of maps in the book are The Aleph Maps, a series of 19th Century anthropomorphic depictions of twelve European nations: Denmark as a figure skater, Russia as a bear, Ireland as a peasant woman, etc.Created for children as a way of making geography interesting, they are colorful, flamboyant and captivating. The map of Oz, which shows the boundaries of the surrounding counties, would make a fine playroom poster. For history buffs, a political cartoon in the form of a Civil War period map showing General-in-Chief Winfield Scott's proposed campaign route to subdue the Confederacy, is a winner. Titled "Scott's Great Snake," the road from Maryland to Missouri is illustrated as a great snake and Scott's proposal became known as "The Anaconda Plan." President Lincoln didn't buy it. But, as you will see, he does have an island named for him in the South Pacific. Inevitably, some of the maps Jacobs' selected can not be reduced to fit the page without making their fine print difficult to read without a magnifying glass. And you may suspect he chose a few of the maps more to pad out the book than for their intrinsic interest, e.g. the beef stake cut to look like the map of Brazil. But you can't help but be fascinated by many of his selections including the metro system map that shows you how to get from Vancouver to Auckland on the train by way of Prague. For sure, Jacobs provides a way of looking at the world that puts far more in perspective than oceans and land masses. 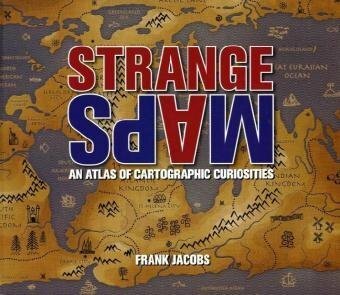 STRANGE MAPS: AN ATLAS OF CARTOGRAPHIC CURIOSITIES spans centuries and the world in a unique map book blending color maps with quirky statistics, observations, and political as well as literary commentary. Humor abounds in a collection that uses cartography to point out ironies and inconsistencies in perception, making for a fine collection for any general library. Frank Jacobs's website has an honored icon on my Desktop; it's great fun to check what new and wonderful map he has come up with recently. All of his discoveries appeared first in print in a wide variety of publications, sometimes reprinted more than once. Jacobs then converts his map of the week to digital form and posts it on his website together with informative and amusing commentary. This pretty little book collects some of his favorite maps and put them back into print again. As other reviewers have mentioned, the website is a living resource for anyone interested in maps. But it's very satisfying somehow to hold this book in the hand, partly to feel more in touch with the original version of the maps and partly to support Jacobs's efforts. "They say a picture is worth a thousand words. To rephrase that cartographically: a map is worth a thousand statistics. One of the best examples of cartography with a cause are Dr. John Snow's mid-19th-century cholera maps. His cartographic juxtaposition of cholera outbreaks and water sources showed the link between a contaminated water supply and the prevalence of the disease. By eliminating certain pumps, cholera cases were reduced dramatically. Dr Snow's research helped create the discipline of epidemiology. So yes, maps and the particular way in which they present information can be very influential indeed. "Another stark example is Dr. Minard's map of Napoleon's ill-advised Russian campaign, also discussed in my book. It is a marvel of data presentation, combining six different sets of information. One of those is the size of Napoleon's army, represented by 1 millimeter for every 10,000 soldiers. The tiny trickle leaking out of Russia compared to the massive arrow going in is as horrifying an indictment as any of the madness and human cost of war." 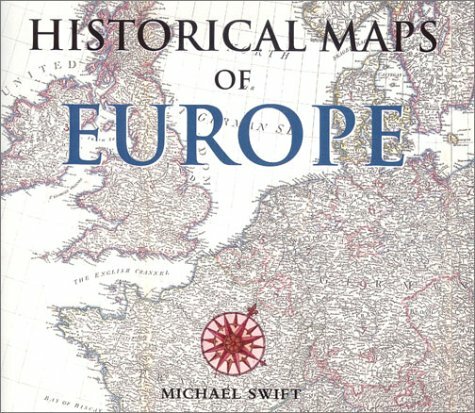 If you have any interest in maps (or even if you don't and would like to understand why others might be), stop by the website or even better buy this fine book as well. It's one of those books you'll lend out time and again, assuming your friends ever return it. I would suggest this atlas would be most appreciated by the map collector who is looking for the unusual or interested in seeing what was used during the war. The Index includes 85 maps that consists of action in North Africa, Europe and Russia. This atlas is not comprehensive covering every major engagement in the above theaters. The maps are selectively chosen and include maps for Tobruk, El Alamein, Kasserine Pass, Tunisia. For Europe they include the invasion of France in 1940 and include Sedan and the Maginot Line, Dunkirk, Calais, Boulogne. There are many maps of the Normandy landings, battles near Caen and later St Lo, Falaise, Operation Market-Garden, the Bulge, the crossing of the Rhine. Malta, Sicily and Italy are well covered and include Operation Husky, Salerno, Anzio beachheads, Monte Cassino. Eastern Europe has coverage as well and includes Bulgaria, Yugoslavia, Greece, Albania. Europe consumes 75 pct of those 85 maps. There are also maps of bombing targets in Northern Europe, the Bismark affair, convoy routes in the far north, the Dunkirk relief. Miscellanous maps include French Resistance centers, concentration camps, Peenemunde rocket sites and German Allied sectors after the war. The quality of the maps vary. I broke them down into three categories: Marginal, Useful and Good. The ratio breaks down respectively as 19 pct, 41 pct and 40 pct. Marginal means the maps are either faded, so condensed or the labeling is so small as to have limited use. The maps that are Useful are better but still have minor viewing problems. The Good maps have no viewing problems and can easily be studied. I would definitely suggest that this atlas should not be your only atlas but it does have curiosity value and would be appreciated by collectors or people with special interests that can't be found in other atlases. 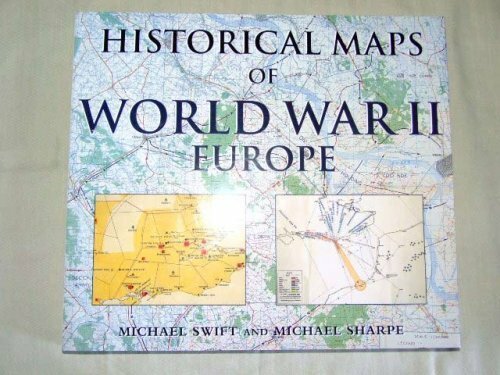 This book has excellent military maps throughout every theater of World War II, but it wasn't what I was looking for. Some of the maps are small and hard to tell where you're looking, and I was hoping for several maps that showed shifting lines during different battles and such. Instead there is just one map for each conflict. Good book, but not what I had wanted. Maps are often as much a visual art form as they are a practical tool for navigation. Of particular visual interest are display maps—maps that often used size and beauty to convey messages of regional and social status and power. Despite their historical significance, many of these display maps have been lost and destroyed over time. Magnificent Maps brings together the best surviving examples in order to illustrate their role in early modern Europe and describe the settings in which they were displayed. Most of the maps collected in Magnificent Maps date from the period 1450 to 1800, the heyday of this approach to mapping. 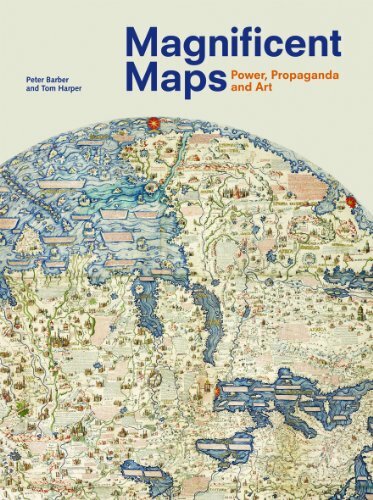 During their time, these maps were displayed in a range of settings, from palaces to schoolrooms to bedchambers, and Peter Barber and Tom Harper here offer vivid descriptions of their original settings and examine their dual roles as propaganda and art. Drawn from one of the greatest collections in the world at the British Library, many of these maps will be completely new even to experts. The unusual aspect of cartography presented in Magnificent Maps will appeal to collectors, historians, mapmakers and users, as well as anyone curious about the many ways we have come to illustrate and define our world. These 125 rare and fascinating historical documents chart the boundaries of the Great War from its start in 1914 to the Armistice. Detailed maps show the trench lines of the major Western Front battlefields sitting side-by-side with Lawrence of Arabia’s campaigns in Palestine and the Middle East. Naval battles in the North Sea and Atlantic Ocean appear alongside details of ANZAC’s Gallipoli campaign or Canadian battles at Vimy Ridge. Plans for rolling barrages at Serre on the Somme contrast with details of operations in East Africa (the setting for the popular movie The African Queen). One section focuses entirely on the United States’ involvement in the fighting, while the introduction provides a brief background of the war and an examination of military mapping. A one-of-a-kind collection of maps created by the navigators, explorers, and cartographers who first charted the Northwest. I bought 3 books along the same topic as a gift for my husband. This was his preferred one. Starting with pre-exploration theoretical maps through the Canadian Northern Railway's 1914 route map, this book gives a sampling of major mapping efforts in the Pacific Northwest (Alaska to Oregon). Maps of course reflect their makers, and this book reflects the range of interests over four centuries of Pacific Northwest explorations, in the two major waves of European marine explorers and settlers. The maps are reprints of originals, not made-for-the-book digests that I find so annoying. Each of the 320 maps is accompanied with a brief description of the map's provenance and the circumstances that make it important today.The book's format is large enough to peruse fine details, and there are some delightful accompanying illustrations in this beautiful book. 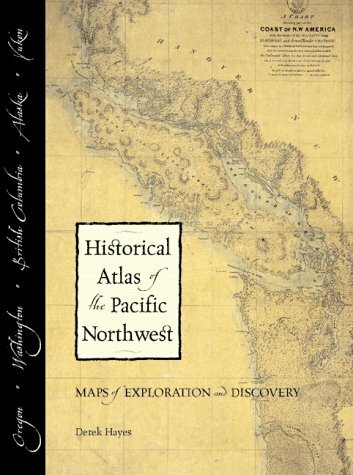 The "Historical Atlas of the Pacific Northwest . . ." is an excellent read for anyone living in the Pacific Northwest from Coos Bay/North Bend to Nome, even if you aren't into maps.As someone who relocated here from the Midwest five years ago, this book has helped put the webbing between my toes. 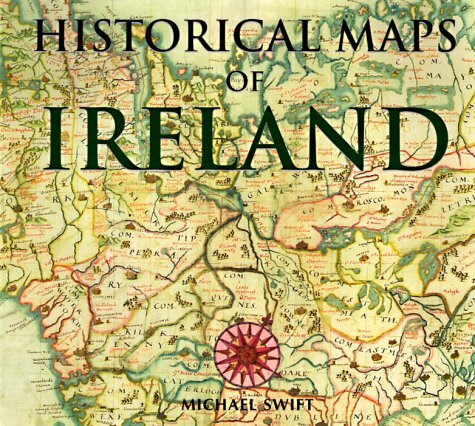 The map research is impressive.Derek Hayes has reproduced maps in this book that I never would have known existed.The narative history is good reading as well (I detect the influence of Ken Burns here). 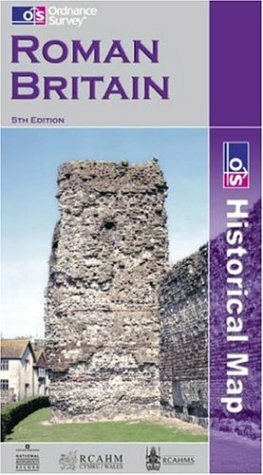 The book has greatly increase my knowlege of the place I have chosen to live, both in terms of its history and the physical landscape. I also recommend it to any history or geography buff, even if you mispronounce Oregon "Or E Gone!" Beautiful book of old maps and local history! A well-crafted and organized history of Ancient Egypt with excellent maps and descriptions of territories, kingdoms and movement of people and rulers throughout 7000 years of transformation. The book has a great collection of maps; however, sidetracks from major aspects of Egyptian history. The information presented on the 25th Dynasty, is particularly unsatisfactory. Major events like the battle of 701 BC between Egypt's 25th Dynasty and Assyria, which changed map of the middle east, is vaguely mentioned. The information presented is inconsistent and certainly unsatisfactory for the average reader. 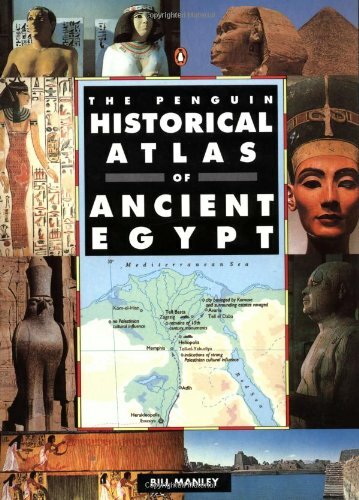 Not the most informative book on Egyptian history, but then again it IS an ATLAS! Many people are writing that this book did not satisfy their desire for facts and more in-depth explanations of Egyptian history, and that the book's text is not informative. This book is not meant for that purpose, and is really and truly an atlas. The maps are what matter. In that reguard it serves its purpose and more. The maps are extremely easy to follow, clearly labelled and idenitified, colorful, and most of all- informative. One can tell so much about a period of history by analyzing a map, particularly several which have trade routes, battle sites, important roads and cultural sites CLEARLY marked. Who could ask for anything more! This atlas is wonderful, and is, I repeat, an atlas. Anyways? What kind of person sits down and reads an atlas? I mean, seriously, its just a reference book, its not a novel. Its not supposed to tell wonderful stories and dazzle you with vibrant facts, its just maps, and anything else, is extra. Maps showing the changing boundaries of countries through a period of history are great visual for students of ancient history. I purchased this as a prelude to a tourist trip to Southeastern Europe -- territory that was behind the Iron Curtain during much of my life.It is also territory with a turbulent and confusing history, and many ethnic and religious rivalries.I found this Palgrave Historical Atlas to be at an ideal level to serve as an introduction to the geography, demographics, and history of this region, although I confess I remain overwhelmed by the details.Nevertheless, the text accompanying the many maps is generally well-written, and the maps are simplified and generalized to an appropriate degree to convey the territorial struggles and other spatial patterns without becoming overly confusing (all maps feature black & white lines with multiple shades of green used to portray areas of interest).As the authors state, boundaries were often fuzzy and shifting in this area where Muslims and Christians of various persuasions struggled for power and control at both local and regional scales.Indeed, a watershed struggle over Muslim / Christian dominance in Europe was played out on this Eastern margin, as it was in Spain and southwestern France in the West.The authors are to be complemented in maintaining a carefully neutral tone, while at the same time not stinting in their descriptions of the often arbitrary and ill-advised political and military decisions that have led to today's still somewhat unsettled national boundaries. For the information of prospective purchasers, this atlas deals with the swath of Eastern Europe from Poland in the north through the current countries of The Czech Republic, Slovakia, and Hungary, to the Balkans and Greece in the south, plus Romania and Bulgaria on the coast of the Black Sea.Germany, Russia, and Turkey, all key external players, are only portrayed and discussed along their respective bordering lands. 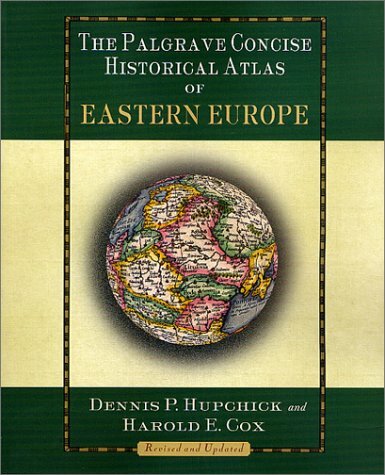 I bought this book along with the similar Palgrave Concise Historical Atlas of the Balkans. Although there is considerable overlap between the two volumes (since they're both by the same authors), there was enough of a difference for me to choose both. I am intensely interested in Romanian history ... and this helped me to view many of the changes in this country over the ages ... as it (or pieces of it) were annexed by or lost to the many kingdoms and empires that ruled Romania's present-day territory. When I first discovered this atlas I thought: "At last a specific work on the topic in English!". Well, despite the range of the maps - 52, listed at the end of the review - it was a disappointment. First: As all ready pointed out bellow by fellow reviewers, the actual Eastern Europe - Russia, Belorussia, Ukraine - is only dealt with on the periphery.This is actually an atlas of East-Central Europe and the Balkans. Second: The mentality of the text sometimes. "Nationalist", is one of the much preferred word used by the author, especially when dealing with newer history.The difference between "nationalism" and "patriotism" is apparently very subjective. Third: The two first points could be something one could deal with - since a wrong title does not necessarily mean bad quality, and the book is aimed for US public - but now comes the greatest disadvantage about this work: The maps themselves.They can at best be described as of "average" quality, but words like "perfunctory" or "sloppy" could be used as well.There is no excuse for the roughness and distortion of state boundaries, the lack of rivers and cities/towns.And the actual errors to them have yet to be mentioned. All in all, the map part of this atlas is suitable for very low-level studies of the area only, likely as a picture book for kids (and/or journalists) and the text for high-school studies. 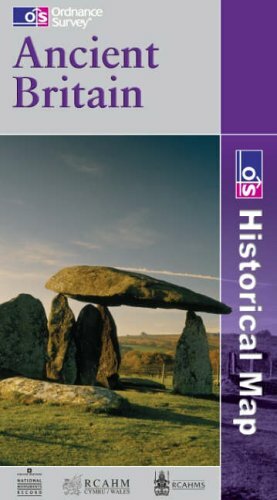 It must be mentioned that the author makes a honest attempt to be objective in the history telling, by sometimes presenting several versions/views on the same event, BUT I am sure that this still won't satisfy everybody. Review based on First paperback September 2001 edition. As the first new atlas of Eastern Europe of the new millenium, it is highly disappointing to see that this work has chosen to arbitrarily fix the eastern limits of Eastern Europe at the present-day eastern border of NATO, and leave out the "backward" lands of the former "evil empire". It is interesting to observe how people can at times discuss "European Russia" as ending at the Ural Mountains, but when it suits them feel no qualms about conveniently leaving this area out, because after all "nothing important goes on there anyway". This is just the perpetuation of long-held Western European biases about Eastern Europe (read "Slavs in the Eyes of the Occident" by Ciesla-Korytowska or "Infidels, Turks and Women: The South Slavs in the German Mind, Ca. 1400-1600" by Petkov for starters) which have been further reinforced by decades of the Cold War. While Paul Robert Magocsi's excellent atlas also stopped short of including the eastern half of Eastern Europe (probably because he wanted us to buy his already-existing tome "Historical Atlas of Ukraine"), at least it was aptly titled "Historical Atlas of East Central Europe". This book's title is misleading to say the least. While a good job was done on the part of Eastern Europe covered, this book would have been twice as useful with the other half of Eastern Europe included as well. Thus people wanting to study the migrations of peoples such as the Hungarians and Bulgarians (or the Goths in the opposite direction), or invading threats to Europe such as the Avars or the Golden Horde will yet again be forced to buy two atlases and attempt to piece the picture together. Also, what is believed to be the area of the formation of the Slavs lies across modern-day boundaries between Poland, Ukraine and Byelorus, and adequate coverage of this topic would seem impossible given the book's limitations. It is unfortunate that despite all the progress made in the last decade, Europe can still not be seen in anything but terms of its recent political divisions. This cannot help but greatly impede our understanding of the past. David Rumsey's collection of historical maps is one of the largest and most complete of its kind. Focused for the most part on North and South America in the eighteenth and nineteenth centuries, the collection is comprised of more than 150,000 items: maps, atlases, and contextual supporting documents. Unlike similar collections, the delicacy and rarity of which necessitate careful storage and restricted use policies, The Rumsey Collection is available in its entirety on the Web and it is this conjunction of old and new technologies that is the heart of Cartographica Extraordinaire. The maps selected for Cartographica Extraordinaire tell a hundred distinct, exciting, important, and sometimes controversial stories, along two main paths of inquiry: how did a continental wilderness become a civilization, and how has the development of cartographic science changed the ways we perceive, describe, study, and use that land? 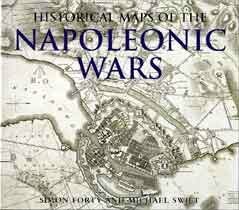 this is truly an extraordinary book, with excellent reproductions of all types of maps. the index provides the original map dimensions, which i found helpful. this book would be a great additional to any library, young or old. David Rumsey was fascinated by maps as a kid, and they were always papered onto the walls of his room.The fascination with maps did not leave him, through several degrees in fine art and a career in real estate.He amassed one of the largest private collections of maps, The David Rumsey Historical Map Collection, 150,000 catalogued items stored on the ground floor of his house in San Francisco, which is a working library for people to use.The items are wall maps, folding maps, globes, map puzzles, and many others.There is a sampling of the collection in _Cartographica Extraordinaire: The Historical Map Transformed_ (ESRI Press) by David Rumsey and Edith M. Punt, a slim but large-paged, handsome volume containing all kinds of maps concentrating on North America.They show the history of America, to be sure, but are also a history of mapmaking.Rumsey has painstakingly put items in his collection on the Internet, so he himself is participating in mapmaking history, and some pages of this beautiful book demonstrate what can be done with maps transformed into pixels. Looking at these lovely maps is to participate a bit in Rumsey's enthusiasm, which one can pick up from his introduction: "A map, especially a historical map, ... communicates both above and below the narrow bands of language and observation. "There are only a hundred and twenty or so maps selected here, but besides being beautiful objects to contemplate, they show an amazingly diverse range of ideas: how people explored coasts, or how train schedules were arranged before we had standard time zones, or how we claimed, organized, and sold the land.For those of us who only look at highway maps, there is an enormous education here.It is barely possible to mention the subjects of some of these maps; if this subject matter at all interests you, nothing will do except to get the book itself and look through the pages.For instance, the map by William Clark (of Lewis and Clark) of the trek across western America is here, but in a version issued by Rumsey in celebration of the 200th anniversary of their travels.It shows the original drawing, seamlessly enclosed within the General Land Survey's first map of the area, which is itself within a 1971 map of a US Geographic Survey National Atlas, which in turn is within a Landsat mosaic from NASA.The joins of the maps are seamless because they all were turned into computer data that could be massaged in just the right way, and because they are "georectified" to match up perfectly.This was hardest to do with Clark's 1814 map, which because of survey and navigation limitations of his time (not because of sloppy mapmaking) had accurate latitudes and distorted longitudes. Rumsey's collection exists physically, of course, but access to the historical maps entailed the basic problem of "many hands taking hold of rare and delicate objects. "Digital photography and computer storage have opened his collection for anyone who wants to look, and you don't even have to be there physically.He has found that magnified images of the maps can show details that were obscure even in the originals.Astonishingly, information compression has meant that a picture that originally required 400 megabytes can actually be stored in 3% of that size without loss of image quality.By digitizing his maps and making them available, Rumsey has himself stepped into cartographic history.This book is a demonstration in book form of what Geographic Information Systems can do, and Rumsey sees the "digital wizardry of GIS not as a break from the past and old mapping traditions," but part of those traditions.If you go to the website, you can look around anywhere; there is no guide._Cartographica Extraordinaire_, on the other hand, has the job of demonstrating the progress of history and of information display, and does both engagingly and handsomely. The impressively collaborative work of David Rumsey (President of Cartography Associates, a San Francisco-based digital publishing company, and Director of Luna Imaging, a provider of enterprise software for online image collections) and Edith M. Punt (professional cartographer and recipient of the 1996 National Geographic Award in Cartography), Cartographica Extraordinaire: The Historical Map Transformed is a 160-page, hardcover, coffee-table book printed on archival paper which showcases how technology has literally transformed the restoration, re-creation and reproduction of historical maps. 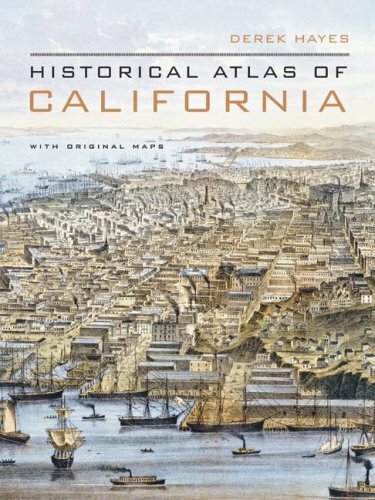 The specific focus is upon maps (and the people who made them) that reflect American history and ranges from a 1736 atlas depicting California as an island, to a Civil War era "bird's-eye" view of military positions on the southeastern seaboard. 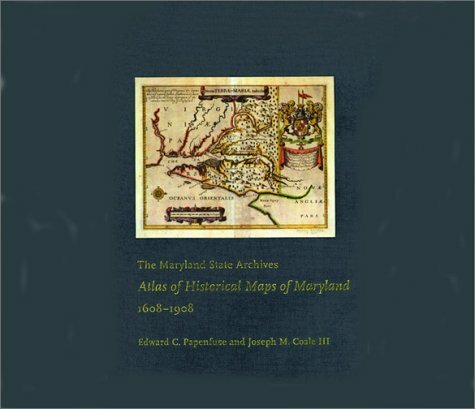 This is an outstanding and representative collection drawn from the David Rumsey Map Collection and illustrates early American history from a uniquely geographic perspective. With it's informed and informative text, Cartographica Extraordinaire is clearly recommended for inclusion into professional, academic and community library Cartography Studies or American History collections. Indeed, Cartographica Extraordinaire would make an excellent selection for a truly unique Library Memorial Fund acquisition. FULL COLOR Edition: After multiple editions and printings in just two years, the bestselling 'The Maps of Gettysburg' is available for the first time in a full-color, hardcover edition! Thousands of books and articles have been written about Gettysburg, but the operation remains one of the most complex and difficult to understand. Bradley Gottfried's groundbreaking 'The Maps of Gettysburg: An Atlas of the Gettysburg Campaign, June 3 - July 13, 1863' is a unique and thorough study of this multifaceted campaign. The 'Maps of Gettysburg' breaks down the entire operation into thirty map sets or "action-sections" enriched with 144 detailed, full-page color maps comprising the entire campaign. These cartographic originals bore down to the regimental and battery level and include the march to and from the battlefield and virtually every significant event in between. At least two-and as many as twenty-maps accompany each map set. Keyed to each piece of cartography is a full facing page of detailed text describing the units, personalities, movements, and combat (including quotes from eyewitnesses) depicted on the accompanying map, all of which makes the Gettysburg story come alive. I recently spent a day at Gettysburg with my son and my father. We hired a Gettysburg guide to take us over to explore the fighting that took place at Culp's Hill since many people don't focus on this important part of the battlefield. 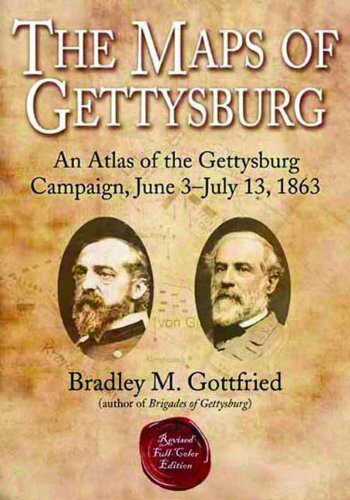 In preparation for our trip I ordered the revised color edition of The Maps of Gettysburg by Bradley Gottfried. In short order, I was able to understand the tactical importance of controlling this hill after reading the brief narratives and then eye-balling the troop movements displayed on the maps. If you want to quickly gain an understanding of what took place just about anywhere and during any given moment at Gettysburg then this book is indispensable. The well designed color maps are on the right facing page while the battle narrative is on the left facing page. I found this design very user friendly; especially since you don't have to flip through pages to find a map that matches the narrative [This is a pet-peeve of mine with too many poorly designed military history books]. The maps show unit movements down to regimental and battery level. This hard-back is well built and at about 384 pages it is hefty, so if you bring it out in the field, make sure you have some way to protect it. The book also has an Order of Battle and endnotes so sources can be tracked down if needed. This book is the best thing out there for serious battlefield students and those who want to decipher a complex three day battle. This is quite simply, a must have book on the battle. 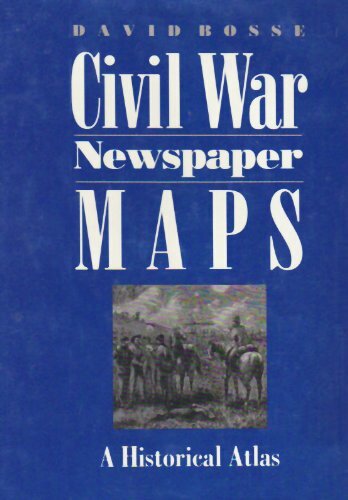 It follows the same format as Dave Powell's _Maps of Chickamauga_, which I read and reviewed here earlier in the year. In fact, my great experience with Dave's book led directly to me purchasing this one. The book includes 144 full color maps each facing a page of text explaining the action on the map. The book begins with Lee's decision to move his army North and has basically one map for each day until the armies join battle on 1 July. Once the battle starts the maps cover much smaller periods of time, sometimes as short as half of an hour, and show each regiment's (in some cases each company's!) position and movements on the field. After the battle, Lee's retreat, and Meade's cautious advance are covered until the last Confederate crossed the Potomac back into Virginia on 13 July. I purchased this book to take with me on a battlefield tour and found it to be second-to-none in its assistance in helping to track each unit throughout its activities and engagements over the three-day battle. On this trip I focused on the Day 1 movements and engagements and was able to stand on the same ground as many of the units in which I had a particular historical interest. I was thrown off on one a few occasions when I could not find the 107th PA on any of the maps eventhough it was listed in the narratives. I discovered it was consistently mislabeld at the 107th NY on the maps. The author may want to correct in future editions if he has not already. All-in-all a great battlefield companion guide. The description says the book to released April 19, 2010, but Amazon says they will ship in one to three months. One of these needs to be updated. I am by no means an expert on the battle of Gettysburg but I can say this book is the first I have read on the battle that gave me a feel for what happened at the lower brigade and battalion levels.The book combines detailed order of battle, a clear discussion of maneuver, personal accounts from private through general, and over 120 maps in a way which allows you to really start to appreciate that there is much more to the battle than "Pickett's Charge" (Or Pickett - Pettigrew - Trimble Charge" as it is called in the book. The format of having the text and maps facing each other is very useful as it allows one to trace the battle on the map as you read the text.While the text is very readable, I found the book a self-imposed "slow read" as I could not help but jump between the narrative and the map or turn the pages to compare prior or follow-on maps to get a better understanding of each engagement. Based on the unique collection at the Public Record Office in Kew, England, this amazing assortment of more than 100 military maps charts the Napoleonic conflict from its start in 1803 to the defeat at Waterloo in 1815. Each one is beautifully hand drawn, accompanied by a caption explaining its significance. The maps reveal in fascinating detail how the events were plotted out, including the major battles at Trafalgar and Austerlitz. Follow the fighting and clashes on every front, including Germany, Russia, and Austria in the east, and the crucial encounters in Belgium. Simon Forty, a highly praised military writer, presents a concise history of both the war and military mapping. An essential compilation. Based on the five-foot by five-foot 1858 Map of the Counties of Barnstable, Dukes, and Nantucket Counties by Henry F. Walling, this display-style book showcases each county, town, village, and the major bodies of water that surround and connect them. It includes each home and business, road by road, complete with the names of property owners and important geographic features, as well as useful tables of statistics and delightful period illustrations. Originally produced at the end of the Great Age of Sail, at a time when whaling and salt-making were still strong industries in the region, this gorgeous wall map depicts Cape Cod, Martha's Vineyard, and Nantucket at an industrial apex. 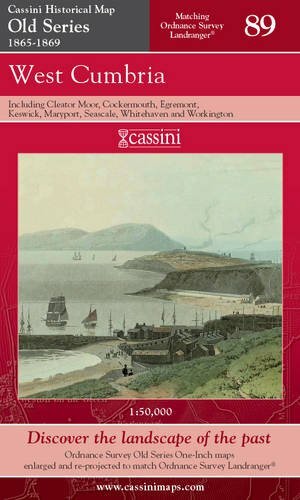 By publishing the map in book form, by including commentary from some of the region's most insightful writers and scholars, and by utilizing photographs of three different originals, the publishers and designers are able to enlarge and showcase each portion of the map on separate pages and page spreads. 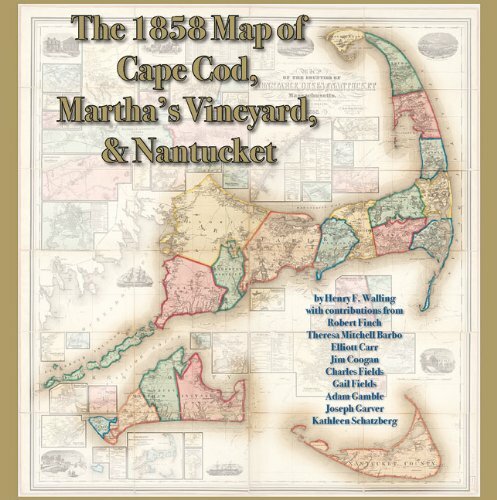 The result is that readers are able to view and understand 19th-century Cape Cod and the Islands with a level of detail that is nothing short of celebratory. The book was purchased for friends.They are a married couple, both with deep roots in Cape Cod.They are delighted with the book and hope to find home sites of ancestors.I have seen the book and was pleased with the photography and page layouts.Also of value was the informative writing of Jim Coogan.